Interview: Jhumpa Lahiri, Author Of 'The Lowland' India's politics and history play a central role in Jhumpa Lahiri's The Lowland. In the Booker Prize-nominated novel, an Indian radical is killed, and his wife and brother start over in America. Lahiri tells NPR's Lynn Neary that the story was inspired by true events, but very unlike her own life. 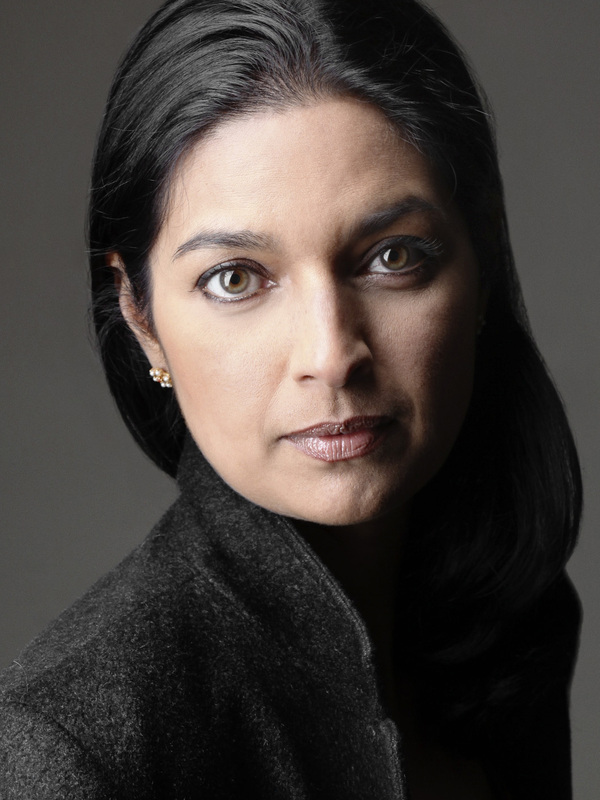 Earlier this month, Jhumpa Lahiri rejected the idea of immigrant fiction. "I don't know what to make of the term," she told The New York Times. "All American fiction could be classified as immigrant fiction." Nevertheless, among readers, Lahiri is best-known for her novels and short stories about the immigrant experience. She was born in England and raised in America by parents who emigrated from India. 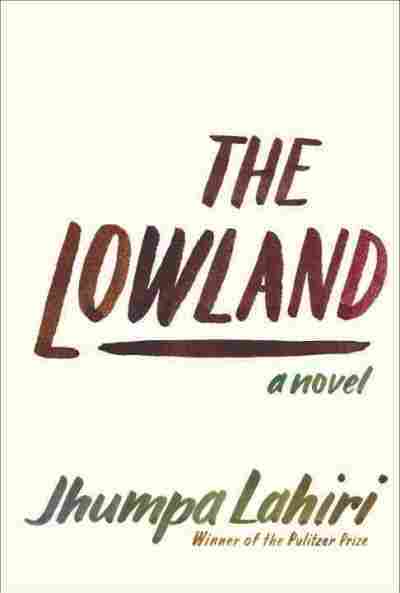 Her new novel, The Lowland -- which has just been nominated for both the Man Booker Prize and the National Book Award — continues those themes, but is also rooted in the politics of post-colonial India. Lahiri says the book is based on a tragic incident she first heard about in India, during one of her many visits while she was growing up. Two young brothers, who had become involved in a violent political movement, were executed just a few hundred yards from her grandparents' home in Calcutta. The young men's family was forced to watch as they were killed. "That was the scene that, when I first heard of it, when it was described to me, was so troubling and so haunted me — and ultimately inspired me to write the book," Lahiri says. In The Lowland, the two brothers are inseparable. They look so much alike that people often mistake them for twins, but their personalities are very different. Udayan is charismatic and adventurous. Subhash is more cautious — the solid, dependable type. And in Lahiri's version of the story, only one of them becomes politically active. "I thought it would be much more interesting for the story to set up a contrast between these two brothers, to have one involved politically and one to be aloof, because I think it creates an inherent tension between the brothers," she says. "And I wanted to show how the movement could seduce one while leave another indifferent." Udayan becomes involved in the Naxalite movement, a radical Maoist political party that started during an uprising in a rural area of Northern Bengal. The Naxalites, who rejected Ghandi's politics of nonviolence, became popular on college campuses in the 1960s. Lahiri says that the student activists were idealists, searching for a way to combat their country's poverty. Udayan and his comrades are "basically kids," Lahiri says: "I mean, they're college students. And so one can see how a certain ideology can be very attractive, and appear to be the solution, and appear to be the key to solving an enormous problem in a country and a society." Pulitzer Prize-winner Jhumpa Lahiri is the author of The Namesake and Interpreter of Maladies. "We think he might be hiding in the water, the soldier continued, not removing his eyes from her. "No, she said to herself. She heard the word in her head. But then she realized that her mouth was open, like an idiot's. Had she said something? Whispered it? She could not be sure. "The tip of the gun was still steady at her throat. But suddenly it was removed, the officer tipping his head toward the lowland, stepping away. "He's there, he told the others." Lahiri says the character of Gauri was key to her exploration of how these events haunt and shape her characters for the rest of their lives. "I wanted to understand what it might have been like to witness something like that, and what the consequences would be of witnessing something like that," Lahiri says. "I mean, she's a 23-year-old woman. She's in love with her revolutionary husband. She watches him shot in cold blood. She discovers after the fact that she is carrying his child. How does one move on from that?" Much of the book takes place in the aftermath of that night. Gauri joins her husband's brother, Subhash, in the U.S., where he has been studying at an American university. They live in Rhode Island, where Lahiri grew up. Gauri and Subhash's sense of isolation in a new country is intensified by the awareness of the tumult they left behind. "The real issue that interested me more in this book was, what it is like to have experienced life in a city where a situation, a political uprising, whatever you want to call it — attempted revolution, really, is what it was — has taken over the city, has altered life fundamentally, has created a dangerous, difficult, violent environment, has affected day-to-day life on practically every level?" Lahiri explains. "To be living with this day after day and then suddenly to be in a part of the world where it might as well not exist, because it is not on the radar of anybody you're around, and just simply the silence — I imagine for the characters, I imagine for Gauri, it was both a relief and deeply unsettling." It's in questions like that — questions she cannot answer — that Lahiri finds her stories. "So much of my writing derives from these questions that I ask myself — things that are utterly beyond my personal set of experiences," she says. "And it's my attempt to try to ... understand, to sort of break out of my own consciousness, you know, the limitations of my own life." Lahiri says that in this book, she feels she has stretched the canvas of her writing. Much of her previous fiction has focused on the generational tension between immigrant parents and their children. She has touched on history and politics in other work, but in this book, they are an integral part of the story. "At heart it remains a family story and that's how it was conceived," Lahiri says. "But I did want to acknowledge, address, understand the historical and political context, and so for me that was a new step to take." Writing a book, Lahiri says, is a mysterious process. She never really expects to be happy when she is finished, but she does hope for a sense of satisfaction. With The Lowland, in the end, she is satisfied. She's says she's added some new ingredients to her fiction — and put everything in this story that needed to be there.